Dentures by Dr. Steinfeld are just one option for replacing missing teeth; some of the others include fixed bridgework and dental implants. Each method has its particular pluses and minuses, which should be carefully considered. Richard A. Steinfeld in Lake Worth, FL also offers several varieties of dentures available to address specific issues, from partial dentures to implant-supported overdentures. The best option for you will depend on your individual situation. 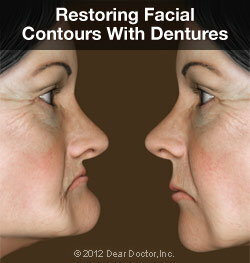 If you are interested in learning more about dentures, call our Lake Worth, FL, dental office today at (561) 965-3933.